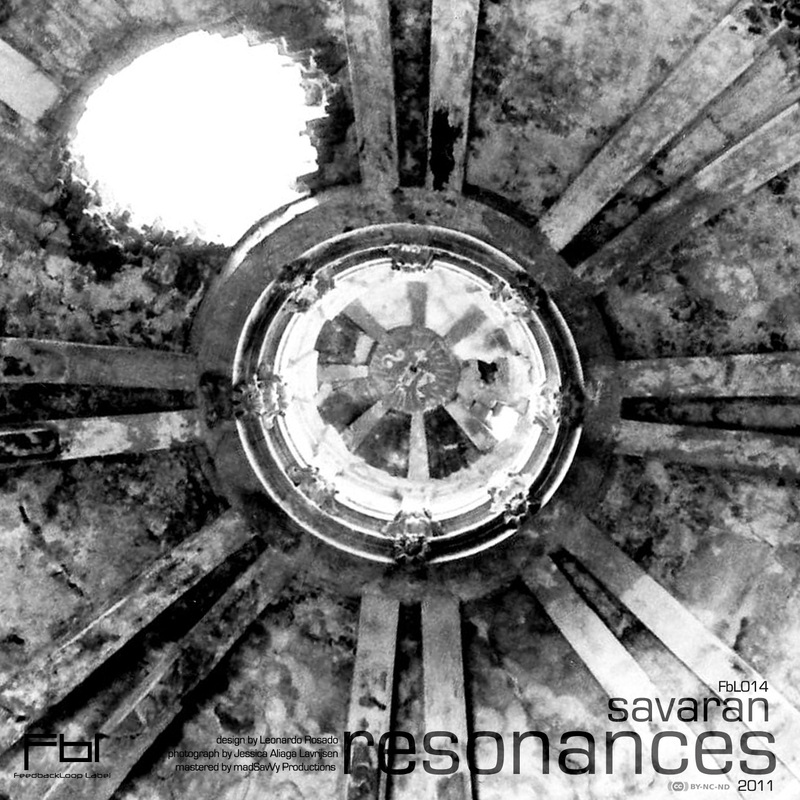 Welsh electroacoustic artist Mark Walters aka Savaran comes to Feedbackloop with a five track EP 'Resonances' after a number of netlabel releases over the past year. Utilising both digital and analogue instrumentation with field recordings, samples and an array of effects, Mark develops refined micro-soundscapes, tightly knit into granular textures which demand an attentive ear. In Resonances he marks waypoints in the contours of his own life, describing personal experiences - memories of events and locations - and his own interests in history, astronomy and geology. Opener 'The Forest' is closely grounded in nature, a perpetually moving and shifting piece - being more and more ethereal. 'Aurora' cinematically depicts the sound of the lights in the sky created by particles passing through the atmosphere. A granular focus that is present also in the micro movements suggested in 'Tectonic'. Constructed literally from the vibrations of earthquakes through a custom built digital effect, the track offers a kind of cathartis, made all the more relevant with the recent happenings in Japan. 'Graaw' is a childhood place remembered and revisted, illustrated with a careful eye, and representative of Mark's unique observational style. In last track 'Delphic' we've travelled as far from earthly groundings as we can, to otherworldly dimensions set within Greek mythology. Delphi was the seat of the oracle, housed in the temple of Apollo. Inspired by this historic reference - Mark translates these dramatic visuals into an exciting sonic experience. Resonances is deeply personal, born from historic and personal interest which reveals itself to be emotionally evocative and intriguing for the listener. By allowing us this intimate insight into these parts of himself, Mark achieves a brilliant expression of his own history, memory and self. Savaran is Mark Walters from Wales, UK. He is an electronic musician, sound designer, sound artist and full-time archaeologist recording from his small home studio on the Welsh border near Shrewsbury. His music crosses many of the electronic genres but leans toward the ambient, experimental, electro-acoustic, cinematic and soundscaping styles of production. Inspiration comes from many directions including the random daily events that life throws at you, landscapes, environment, atmosphere, geology, astronomy, past cultures, or just the indefinable need to make music. The music itself is created on a variety of digital and analog instruments and blended with field recordings, sampled sounds and an array of effects. The end result is a textured palette of sounds derived from visual and audible references which explore our own world and the universe beyond at the macro and micro levels.